In his monograph, Strategic Implications of Hybrid War: A Theory of Victory , Lieutenant Colonel Daniel Lasica posits that hybrid force actors attempt to combine internal tactical success and information effects regarding enemy mistakes through the deliberate exploitation of the cognitive and moral domains. In this manner, he describes hybrid warfare simultaneously as a strategy and a tactic because of the blending of conventional, unconventional, criminal, cyber and terrorist means & methods. A hybrid force is thus able to compress the levels of war and thereby accelerate tempo at both the strategic and tactical levels in a method faster than a more conventional actor is able to do. In this theoretical model, the hybrid actor will always gain a perceived strategic advantage over the conventional actor regardless of tactical results. David Sadowski and Jeff Becker, in their article “Beyond the “Hybrid Threat: Asserting the Essential Unity of Warfare,” assert, that the idea of simply seeing hybrid warfare as a combination of threat categories or capabilities fails to appreciate the complexity of the hybrid approach to warfare. Rather, they argue that the essential aspect of hybrid warfare is the underlying unity of cognitive and material approaches in generating effects. Such a unity of cognitive and material domains allows for flexibility in a strategic context in which social “rules” can be redefined in an iterative process to the hybrid’s advantage in terms of legality and military norms. Majors McCulloch and Johnson in their monograph ‘Hybrid warfare’ have said that hybrid war may be best summarized as a form of warfare in which one of the combatants bases its optimized force structure on the combination of all available resources—both conventional and unconventional—in a unique cultural context to produce specific, synergistic effects against a conventionally-based opponent. Therefore, it will not be wrong to say that Hybrid warfare in naval context is a violent conflict utilizing a complex and adaptive organization of regular and irregular forces, means, and behavior across a predominantly maritime domain among others to achieve a synergistic effect, which seeks to exhaust a superior military force. Littoral areas and cities in the vicinity of the coast could be important sites of future conflict, and both have characteristics that make them more complex than the high seas, and hinterland. Adversaries will increasingly exploit these complex environments to degrade technological advantages of regular forces. 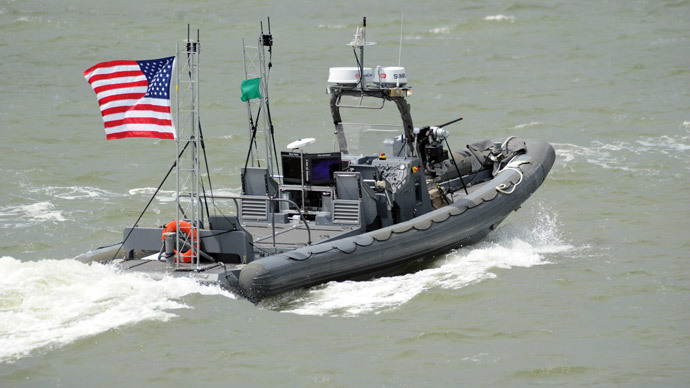 Given the close proximity of many cities to the coast as well as an abundance of unmanned coastal areas, the maritime hybrid is a distinct possibility requiring the active involvement of the Navy and the Coast guard. In the case of a maritime hybrid war, the normal components of the Navy would continue to play an important part in the littorals and in open seas for interdiction of adversary’s irregular assets like floating armories and mercenary flotillas. Maritime forces are often utilized primarily in support of ground operations, but it is seen that; in environments with a maritime component; maritime operations tend to have a noticeable comparative advantage over land-based operations in terms of mobility, freedom of maneuver, and the ability to impose a smaller or less visible footprint on the land. The maritime forces could easily choke supplies through the sea route to reach adversary, protect own maritime trade and fishing in the area, provide logistic and fire support to forces on land from the sea, close escape routes and so on. One important point is that vital external maritime support can be conveniently obtained from friendly nations at sea for ISR, communications and fighting the cyberwar. The supporting ships could be operating as close as just 12 miles off the coast or hundreds of mile in open seas without violating any regulations. Now it would be appropriate to look at a few of the salient features of 26 Nov 2008 Mumbai attack as relevant to subject at hand. The Mumbai attack has been analyzed in great depth by various agencies (for e.g. Rand’s ‘Characterizing and Exploring the Implications of Maritime Irregular Warfare’ and ‘The Lessons of Mumbai’ ) and individuals, therefore an attempt is being made here to highlight the main findings of some of these studies. In addition to the meticulous planning, reconnaissance, likely pre-positioning of weapons & ammunition, the major innovation on the part of the terrorists was the real-time exploitation of the international media. Each of the terrorists carried a BlackBerry smart phone to monitor CNN and BBC Internet coverage of the attack in real time. They then immediately adjusted their tactics to increase the amount of media coverage that the attacks would receive. It is believed that the major efforts made by the terrorists to kill U.S. and British civilians were part of the plan to garner more international press coverage. The case of the LeT attacks in Mumbai illustrates the advantages that could accrue to an adversary from a maritime approach to a target. A maritime approach allows operatives to avoid border crossings and airport security, it offers opportunities to hijack a local vessel so that attackers can blend in with the normal local coastal traffic, and offers terrorist teams extra time for pre-attack planning as well as extra time for rest just before the attack commences. Finally, a maritime insertion allows terrorists to select very precise landing sites and infiltration routes. The case of the LeT attacks in Mumbai also illustrates the disadvantages that can accrue to a terrorist enemy from a maritime approach to a target. First, once a full-blown, large-scale assault has started, it can be very difficult to extricate the operatives. Second, the transport of large explosives aboard fishing vessels and trawlers is risky; thus, maritime terrorist strikes might be limited to relying on small arms to do their damage. Third, some kind of reconnaissance cell would have to be sent to the target city well in advance of the attack, providing an opportunity for a skilled intelligence agency to mount surveillance on the reconnaissance cell and break up the plot before the assault team could embark. Moreover, a maritime approach does not allow the terrorist team to disperse until it lands ashore. 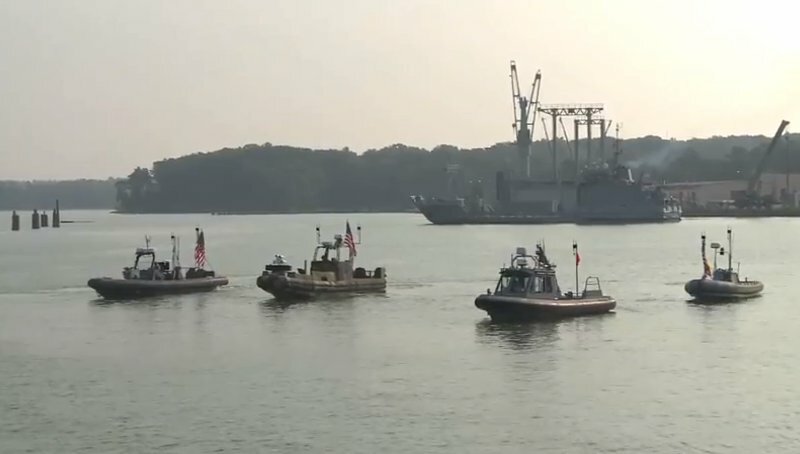 Even if the operatives approach in two or three different small boats, the interception of just one of the boats could drastically reduce the team’s numbers and effectiveness. The fact remains that despite low technological instrumentation, a non-state/state sponsored actor coming from the open sea, could carry out effective surveillance & reconnaissance regarding the characteristics of targets at land/sea that could be attacked in future. Maritime Hybrid War may graduate to pose the bigger economic threat than a military one. Furthermore, these economic costs could be imposed with relatively minor investments from the adversary. What is worrisome is that now the Hybrid threat can emerge from anywhere in the vast oceans; be it floating armories, mercenary flotillas, or innocuous vessels carrying legitimate cargo with an embedded cyber war-waging cell. The maritime hybrid threat has to be interdicted using Naval and marine assets preferably before it reaches the shores and synergizes with other elements into a full-scale hybrid war. Even though the Indian Government has strived to put in place a very robust MDA but there are intelligence gaps, which remain among the various agencies involved and could lead to slipping in of threatening elements physically or otherwise. “The categories of warfare are blurring and do not fit into neat, tidy boxes. We can expect to see more tools and tactics of destruction — from the sophisticated to the simple — being employed simultaneously in hybrid and more complex forms of warfare.” - Professor Colin Gray. A word about the maritime dimension of cyber war would be proper at this stage. 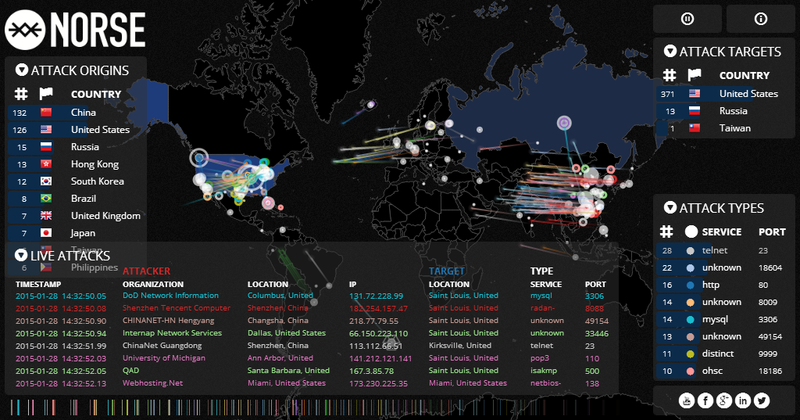 In recent years, there has been considerable discussion of the phenomenon of cyber warfare, its methods, and its ramifications. In essence, there are three objectives that can be achieved by cyber-offensive activities: espionage (infiltrating the target’s information storage systems and stealing information), denial of service attacks (preventing Internet usage), and sabotage (infiltrating systems reliant on Internet connections and causing functional damage via malevolent programs). The media largely focuses on the use of computer programs as weapons in the cyber domain, but an attack on Internet infrastructure especially the submarine optical fiber cables is no less an option for terrorists, and often more devastating and effective. In fact, thousands of miles of more than 200 international submarine cable systems carry an estimated 99% of all the world’s trans-oceanic internet and data traffic. Widespread disruption to undersea communications networks could sabotage in excess of $10 trillion in daily international financial transactions, as stated by Michael Sechrist in a 2012 paper ‘New Threats, Old Technology Vulnerabilities in Undersea Communications Cable Network Management Systems ’ published by the Harvard Kennedy School. It is pertinent to note that satellites carry just about 5% of global communication traffic. Even partial damage has extensive consequences because of the resultant jamming of traffic on the limited remaining connection. It is true that the diplomatic and military effects of having Internet communication with world at-large cutoff would not be significant, but the direct and indirect economic consequences could be extremely expensive to our economy, especially with the transfer of much data to online cloud services that are actually placed abroad. What bigger Hybrid threat can be posed at sea than the cutting off the subsea internet cables at the time, place, and depths of one’s choosing or cutting off undersea facilities like VLF communication nodes and hydrophones? Would it not be an example of extreme denial of service weapon? Incidentally, such capabilities do exist with some nations today. Two other aspects of hybrid war, which merit immediate attention of the maritime forces, are the onslaught of sensors and swarm warfare. The worldwide total number of sensors has increased tremendously and will pass the one trillion mark, or more than 100 sensors for every person on earth. Mass production of electronics has led to significant enhancements in Sensing capabilities. Every smart phone today has a complete inertial, electronic and satellite navigation system comprising just a minor component of its price. Incidentally, a smart phone today hosts of many of the sensors such as accelerometer, temperature, gravity, gyroscope, light, linear acceleration, magnetic field, orientation, pressure, proximity, relative humidity, rotation vector and temperature. The worldwide digital data generation rate now exceeds one ZB (1021 bytes) per year and global storage exceeds 10 ZB. The ability to fuse and make sense of unstructured data from disparate sensors and incommensurable formats are being addressed by use of advances in processing capability and data handling algorithms. The advent of sensors has, however, made the battle space transparent. Today, the warfare has to adapt to this transparency and let go traditional concepts of concealment and camouflage. 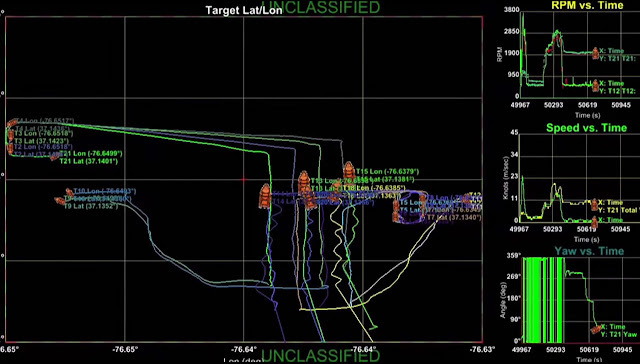 Stealth technologies are unable to cope up with concealing signatures of the multitude of sensors being used across various domains, be it in the air, on the surface or under water. Navies today can no longer spring a surprise on the adversary because it is not feasible to operate blind in a battlefield littered with multi-spectral sensors, dispersed spatially, and operating in broadband. Dispersal - IN forces must disperse over as much of the maritime battle space as possible. Deception – IN must strategize on targeting the adversary’s sensor complex across multiple spectra with noise, false targets, and cyber attacks. Range – IN must gainfully implement Net Work-Centric warfare to bestow ‘crippling effects’ at large distances when dispersed. Speed - together with range, the speed at which kinetic and non-kinetic effects can be imposed on the adversary will also be a critical factor in Naval war. Unless the Indian Navy starts preparing now to fight in the Age of Sensors, it risks becoming vulnerable in the event of a hybrid war. Seminal work has been done on Swarm warfare by Prof. John Arquilla and David Ronfeldt in their various writings (Swarming and Future of Conflict , Countering and exploiting Swarms , etc.) the present section derives from their thought processes. Swarm warfare has become the dominant doctrinal concept of certain navies like the Iranian Revolutionary Guard Corps Navy, which has about fifty missile and torpedo boats, along with other light coastal craft, all of which train to employ ‘ESBA’ i.e. like a swarm of bees tactics. The IRGC Navy also has several bases on small islands in the Persian Gulf, from which they can “swarm by fire” with the Chinese missiles in their inventory. China’s PLA Navy regularly practices swarm tactics with its missile, torpedo, and gunboats. For the Indian Navy, comprised as it is of a number of high-value vessels, swarms pose a considerable and rising threat. Swarm attacks are likely not only from small boats, but also from aircraft, submarines, and drones. At present, the author is unaware of any fitting response by the Indian Navy focused on the use of counter-swarms of drones, and robots. The Indian Navy should also consider responses; as suggested by Prof Prof. John Arquilla ; by designing swarms of much smaller craft like large numbers of jet-ski-sized drones or autonomous weapons whose goal would be to seek out and destroy incoming swarms with rockets, or by ramming and self-detonating. Small and swift Weapons could pose a far superior swarming threat to hybrid adversaries. IN could also think of small undersea swarming systems which are already on the design board to meet demands of clearing minefields, engaging enemy submarines, and carrying out ISR missions. Similarly, small aerial swarm weapon systems could prove exceptionally useful in dealing with air defense of carrier strike groups. 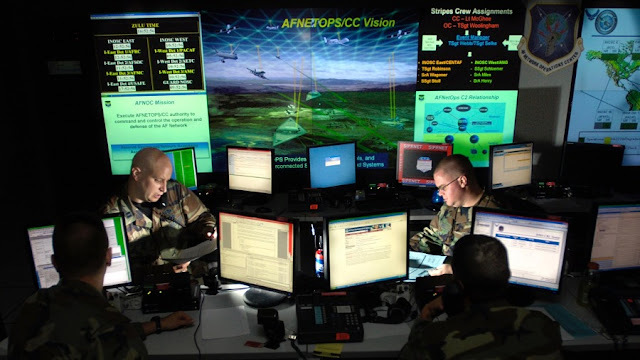 Starting with the fundamental definition of Hybrid war in maritime context as “Naval irregular warfare plus cyber war and any other component that emerges in future”, the implications of cyber, sensors, and swarm warfare have been discussed in this article. However, new types of hybrid threats would keep surfacing and the IN has to be ready for them when called upon to counter them. Hybrid war, being inherently nebulous and dynamic in nature, calls for constantly adapting naval doctrines and technologies to meet the emerging maritime hybrid threats. Based on a talk ‘Maritime and Air Dimensions of Hybrid War’ delivered by the author during ‘National Seminar: Hybrid Warfare’ on 02 Nov 2016 under the aegis of Centre for Land Warfare Studies, New Delhi. The author RADM Dr. S. Kulshrestha (Retd. ), INDIAN NAVY, holds expertise in quality assurance of naval armament and ammunition. He is an alumnus of the NDC and a Ph.D. from JNU. He superannuated from the post of Dir General Naval Armament Inspection in 2011. He is unaffiliated and writes in defense journals on issues related to Armament technology and indigenisation.